With around 5,500 cups consumed every second, Nestlé's Nescafe is the world's leading coffee brand by far, and also the fourth most valuable beverage globally after Coca-Cola, Pepsi and Budweiser. 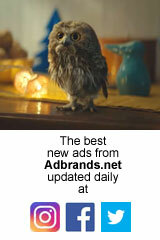 Interbrand ranks it among the world's top 40 brands, with an estimated value of almost $12.3bn. Nescafe's global profile has been modernized by a move into iced beverages, but its more traditional hot soluble business still has one major obstacle to overcome: the dominance of roast and ground coffees in the US and its growing popularity in other developed markets. Nestlé's attempts to compete directly with ground coffee producers proved unsatisfactory; instead the group has established a new benchmark for premium coffees with its extraordinarily successful Nespresso dispensing system. This in turn has led to the introduction of lower-priced Nescafe-branded systems such as Dolce Gusto. Yet in this segment too, Nestle has failed to break the stranglehold in North America of local manufacturers, notably Keurig. A major step forward is the deal announced in 2018 in which Nestle acquired global rights to all Starbucks' packaged retail products, substantially enhancing its profile in the US as well as elsewhere. Nescafe dominates the world's instant coffee market, sold in over 180 countries and with a commanding lead in virtually every major consumer territory. Combined revenues for the group's coffee portfolio were approximately SFr 9.07bn (approx €8.3bn) in 2016. According to figures from Euromonitor, Nestle had around 23% of the global coffee market in 2015 (compared to around 15% for JAB/Keurig Green Mountain). In 2013, Nescafe alone had 16.7% share of the global retail coffee market, more than five times any other brand, and 44% of the instant coffee sub-segment. Regionally, the Nescafe brand varies quite widely. Its biggest market overall is Asia Pacific, where its own dominance and that of instant coffee in general is even greater, at 35.2% regional share, compared to 6.3% for second-placed Maxim. Euromonitor estimate retail sales in that region of almost $4.5bn. In Latin America, Nescafe commanded a 20.4% share ahead of JDE's Pilao at 7.2%. Its 9.8% share in Europe (and retail sales of around $2.2bn according to Euromonitor) is supported by sister brand Nespresso, with 8.3%, both more than twice closest competitor Lavazza at 4.6%, and a further 3.0% from Nescafe Dolce Gusto. The group operates around 30 Nescafe factories worldwide. In the UK, still one of its biggest markets by revenues, Nescafe is among the best-selling FMCG grocery brands. Retail sales in this market as a whole declined from the 1990s to early 2000s as a result of low global prices for coffee beans (see below), as well as slight shift in consumer tastes towards drinks perceived to have a greater health benefit (such as fruit juices), as well as to roast and ground products. However Nescafe still dominates the sector with retail sales of £444m (IRI, year to Jun 2016, The Grocer), equivalent to around 40% share of the local take-home coffee market, and heading towards four times its biggest local competitor, Kenco (sales of £117m), now owned by Jacobs Douwe Egberts, along with other UK competitors including Douwe Egberts (£73m), Tassimo (£73m) and Carte Noire (£38m). Nescafe has an equally dominant position in the instant coffee market of Mexico (82% share), Australia (75%), Japan (73%), South Africa (65%), France (64%) and Spain (62%). In Germany, a highly fragmented coffee market, it is the market leader in instant coffee with a 37% share. The group also has a 25% stake in Dallmayr, a leading German roast and ground coffee marketer. In India, Nescafe is partnered by local variety Nescafe Sunrise, a coffee and chicory blend. Both face strong competition from Hindustan Unilever, which markets Bru instant coffee, used for both hot and cold coffee. Nestle is the larger company by overall share, with around 52% from its two brands by mid 2007, but Bru outsells both Sunrise and Nescafe, with 47% market share. Nescafe and Sunrise tend to be more popular in northern India, Bru more popular in the South, where there is greater consumption of cold coffee. Largely as a result of the global spread of Nescafe, coffee finally eclipsed tea as the world's favourite hot drink by volumes during the 1980s. It now represents around 70% of the global hot drinks market in value terms (and around 60% in volume). But in the world's biggest coffee market, the US, instant coffee remains the poor relation, far smaller in volume terms than fresh coffee. Ground coffee accounts for more than 75% of the US market. The most dramatic development here in recent years is not so much the well publicised rise of Starbucks but the even steeper ascendancy of Keurig Green Mountain, makers of the home coffee making system that now offers branded coffee pods for rival suppliers. According to Euromonitor, Keurig has grown from around 1% of the total retail coffee market in 2008 to 18.4% in 2013, almost six percentage points ahead of closest rival Folgers. Nescafe had just 2.7%, with an additional 0.7% for Nespresso. Nestlé originally launched its instant coffee business in the US under the name Taster's Choice, effectively the local version of Nescafe Gold Blend. The company began attempting to introduce the Nescafe name in the US in the 1990s, but with limited success. By 2002 it remained marginal at best. Finally in 2003 Nestlé effectively merged the two brands, relaunching Taster's Choice under the Nescafe umbrella (as Nescafe Taster's Choice) in a bid to bring its global soluble coffee portfolio into line. By 2009, Nescafe Taster's Choice had around two-thirds of Nestle's business in the US, partnered by Nescafe Clasico, a strong new launch targeted at Latino consumers. However the US market became considerably more competitive during the year following Starbucks' introduction of its own Via instant coffee product. Nestlé hit back with attack ads and promotions designed to show that Taster's Choice single-serve sticks offer better value and taste than Via. Nestle's position in US coffee has been further challenged by an aggressive series of purchases by JAB Holdings, parent to Jacobs Douwe Egbert and other businesses. Nestle made a belated attempt to get back in the game in 2017 with the purchase of a 68% stake in speciality premium roaster and retailer Blue Bottle Coffee for a lavish $500m. That business, which will retain standalone operations, sells a wide variety of high-end blends either through its own small retail network, or more significantly on subscription through its website. Far more dramatic was the deal announced in 2018 whereby Nestle acquired perpetual global rights to all Starbucks' packaged retail products. The deal excludes ready to drink beverages like Frappucino (managed by PepsiCo), and of course anything sold through Starbucks' existing retail estate. However, Nestlé takes control of all other retail packaged beans, ground coffee and tea, and also assumes rights to Starbucks-branded single-serve capsules for use in the Dolce Gusto and Nespresso systems. (They will still be available in K-Cup form for rival Keurig). For Nestlé this represented a huge boost in the US, lifting its market share from around 3% of US packaged coffee to 18%. Nescafe's product range has expanded dramatically over the years. Nescafe Original was joined by Blend 37 in 1955, Gold Blend in 1965. Since then a host of product variants have been unveiled, including premium blends (Alta Rica, Cap Colombie or Kenjara among others), decaffeinated and half-caffeinated versions, and a selection of cafe-inspired "specialty" products such as Espresso, Cappucino, Latte, Mocha and many more. One of the oldest variants is Ricoré, sold in France and Belgium since the early 1950s. This is a blend of coffee and chicory. A more recent introduction is Nescafe 3in1, a ready-made blend of dehydrated coffee, milk and sugar, which launched in some European markets in 2003 and is slowly being rolled out in others. (It made its UK debut in 2010 in response to the local launch of Starbucks' Via). Nescafe Green Blend is one of the latest brand variants, a blend of roasted and unroasted beans which claims to be healthier than green tea. Another important launch is a new instant variant which contains micro-granules of ground coffee for a more sophisticated barista-style taste. It was first launched in Japan in 2011 as Nescafe Koumibaisen, and has since been introduced in other markets including the UK (as Nescafe Azera), Mexico (as Nescafe Molienda) and Brazil (Nescafe Duo Grao). In the 1990s, Nescafe liquid syrups for making iced coffee at home were launched in Asia, and have gradually been rolled out globally. They arrived in the US in 2003 as Nescafe Ice Java, and as Nescafe Black Ice in other markets in 2004. Nescafe Energo, containing an additional vitamin-mineral complex, Actigen-E, was launched in Russia in early 2004. Nescafe launched iced ready-to-drink coffee in Asia in the early 1990s, sold at retail or through a network of vending machines. This concept has gradually been rolled out around the globe, arriving in Europe in 2000 (as Nescafe Ice or Nescafe Xpress). A dehydrated iced coffee mix was introduced in 2008 as Nescafe Frappé. Between 2001 and 2007, these chilled RTD coffees were managed globally by Beverage Partners Worldwide, the joint venture with Coca-Cola which handles the Nestea brand. That responsibility was taken back into Nestlé again in 2007. A new ready-to-drink brand, Nesfrappé, was launched in 2008, initially in Latin America. The group introduced a clutch of new products in 2014, along with a new unified global branding, in order to boost take-up among younger consumers. New products include ready-to-drink chilled coffee Shakissimo, launched in Europe. As the world's biggest direct purchaser of coffee beans from growers, from the mid 1990s to early 2000s Nestlé also had to deal with a prolonged period of low prices for green coffee, the raw ingredient from which the company processes its coffee products, as a result of over-production. Although the low cost of its main raw material was beneficial in the short-term for Nestlé, the medium and long-term effect was quite the opposite. The situation for farmers who depend solely on coffee for their income became very difficult in several countries, and the PR effect on Nestlé was potentially very damaging. The company has long been under pressure from protestors for "exploiting" third world markets with its powdered milk products, and was accused by the charity Oxfam in 2003 of making excessive profits on its instant coffee brands (although they also conceded that Nestlé's relations with its suppliers were better than those of several other coffee manufacturers). In fact Nestlé has long acknowledged its moral responsibility to its suppliers and is involved in a number of initiatives designed to make the market more sustainable in the medium and long-term. Rumours circulated in 2004 that the company was considering the introduction of a "fair trade" version of Nescafe, made from beans purchased at an artificially fixed above-market rate. Initially Nestlé dismissed the story as speculation, warning that artificial price-fixing would only encourage farmers to produce more coffee in an already saturated market. Towards the end of 2005, however, Nestlé finally introduced its fair trade instant coffee label in the UK for the first time under the name Nescafe Partners' Blend, made from beans sourced in Ethiopia and El Salvador. It was the first of the big coffee marketers to introduce a fair trade marque, and Partners Blend has been gradually introduced in other markets. In 2010, Nestle pledged to invest almost $490m over ten years in a new programme to train coffee farmers in more efficient ways to manage and develop their crops. In its mature markets, such as Latin America or Europe, Nescafe now faces a challenge similar to that grasped by Coca-Cola in the 1950s and 1960s. Coca-Cola boss Robert Woodruff famously decreed that a cold Coke should always be "within an arm's reach of desire" of any consumer, and he established a national and later global network of bottlers, retailers and vending machines. In practical terms, it's hard to manage a similar system for a hot drink that must be made fresh each time with the addition of hot water, but that is Nestlé's goal. One way forward was with a truly revolutionary "self-heating" version. Nescafe Hot When You Want began testing in the UK and other markets in 2001. The product was retailed in a can containing a built-in chemical heating mechanism, activated when customers pushed a button on its base. The can reached drinking temperature in about three minutes, and even came in milk and milk-and-sugar variants. However early sales were disappointing, particularly since the can reportedly failed to get hot enough in cold weather. The experiment was discontinued after a few years. Instead, to expand its point-of-presence network, the company began introducing Cafe Nescafe coffee bars at the end of the 1990s, branded like Starbucks but selling coffee to drink-in or take-away. The company also has a partnership with Esso to run Nescafe coffee bars in service stations throughout Latin America and Europe. The Cafe Nescafe coffee shop chain now operates in numerous global markets from India to Austria. There are similar partnerships with food retailers in Europe, including selected McDonald's outlets, as well as with Air France, British Airways and other airlines to offer a branded drink service. However in recent years, the group's greatest success has been with its super premium coffeemaker brand, Nespresso, sales of which have grown dramatically since 2002, supported by a marketing campaign starring actor and Nespresso global brand ambassador George Clooney. It is the acknowledged leader in "single-serve coffee", but its lead has been steadily eroded in recent years. Revenues rose by 40% in 2006 alone, breaking the CHF 1bn ($800m) level, and by another 40% in 2007. The group has become very secretive about sales in recent years because of competition from other machines and capsule manufacturers. This has led to much slower growth, above 20% in 2010 and 2011, while the increase in 2012 was probably lower than this ("double-digit" was all Nestle would confirm publicly). Nestle claimed sales in excess of CHF 5bn (or $5.2bn) in 2017. Around 75%-80% of sales are in Europe. One of the first single-cup coffee-makers when it was first introduced in Europe in the early 1990s, sales shrugged off early competition from other one-cup coffeemakers such as Senseo from Sara Lee (now Jacobs Douwe Egberts), Tassimo from Kraft (also now Jacobs Douwe Egberts), and others. More recently, the group introduced a mass-market coffeemaker line, priced and positioned well below Nespresso and branded as the Nescafe Dolce Gusto. Launched in 2006, it is now marketed in around 75 countries. A new low-end instant coffee machine, Nescafe Red Cup, began testing in Thailand in 2014. According to Euromonitor, Nespresso had 11.1% share of the global capsule coffee market in 2015, and Nescafe Dolce Gusto 6.5%. However chief rival Senseo, now owned by Jacobs Douwe Egberts, has caught up fast at 10.0%, while Tassimo has 5.3%. The Keurig system, sold primarily in North America, has around 12% combined global share split between several different suppliers. Using similar technology, the group launched a premium tea dispensing system, Special.T, in September 2010, but so far sales are restricted still to the launch markets of France and Switzerland. The group also markets more robust coffeemaking systems for professional or office use. However the market has become much more competitive since 2010, not least with the launch by several competitors, including Sara Lee, of generic coffee capsules designed specifically for use in Nespresso machines but at considerably lower prices. Nespresso has attempted to block distribution of these through the courts but with little success. In addition, some early machine marketers have dropped out and been replaced with other more aggressive rivals, such as Starbucks, whose Verismo machine launched at the end of 2012. Unlike Nespresso, most of the rival machine-makers sell their capsules through traditional retail channels. In the US for example, Green Mountain, which supplies the Keurig K-Cup system, was the clear retail market leader with local supermarket sales of almost $960m. Folgers and Starbucks capsules for Keurig and Verismo added at least another $500m. According to Euromonitor, Nespresso's share of the market had slipped from 32% in 2009 to 27% by 2011, although the market itself has increased considerably in size. In early 2014, Nestle launched a new Nespresso system for the US market under the name VertuoLine, designed to meet the challenge from Keurig and Verismo head-on. The new system is designed primarily for making large-cup coffees, although it also produces smaller espresso-style drinks. Nescafe was first conceived in 1930 when the Brazilian Coffee Institute, a government department set up to manage that country's trade in beans, was given the task of finding a way of preserving Brazil's huge coffee surplus. In the late 1920s, Brazilian farmers were producing more coffee than they could ship before the beans went stale, and they were being obliged to destroy vast quantities. Charged with the task of preventing this wastage, the Institute approached Nestlé, a company famed for its pioneering process for preserving milk by dehydrating it and distributing it in powder form. The concept of instant coffee was not new. The first soluble coffee had been invented in 1901 by Japanese-American chemist Satori Kato, and the first mass-produced version, Red E Coffee, was developed in 1906 by George Constant Washington, an English chemist living in Guatemala, based around evaporated coffee. But this and the dozens of other soluble or liquid concentrate brands which followed had a harsh, unpleasant taste similar to reboiled coffee and experienced only limited success compared to the freshly made drink, which was widely available in the US. Nestlé was charged with finding a process that retained as much as possible of the taste of fresh coffee. (The original brief from the Coffee Institute was to preserve coffee in cube form). In fact it took the Swiss company seven years of research to perfect an early form of freeze-drying for reducing the drink to a soluble powder that was 100% coffee and lost almost none of its freshness. They introduced the product in Switzerland 1938 under the name Nescafe, an abbreviation of Nestlé Cafe. It launched in France and the UK a year later, although European distribution was terminated soon afterwards as a result of World War II. The main centre of production was shifted to the United States where Nescafe's fortunes were boosted enormously by the entry of the US into the war. In 1942 Nestlé secured an immensely valuable contract to supply Nescafe to the army. For one full year the entire output of the Nescafe plant in the United States was reserved for military use only. The arrival of American soldiers in Europe led to the re-introduction of the product in the UK and France as well as Italy and later Germany and Japan. Best-selling American coffee brand Maxwell House had also developed a process for manufacturing soluble coffee for military use. This product was introduced to consumers in 1946, but it took another four years until the company perfected its process. Because of the availability of fresh beans, instant coffee was slow to catch on in the US, then far and away the world's biggest coffee-drinking territory. However during the 1950s, as coffee became a popular symbol of American culture, Europe and later Asia developed its own coffee habit. Imported fresh coffee was expensive, so instant developed a significant market position. Sales tripled during the 1950s, then quadrupled during the 1960s and early 1970s. By the end of that decade, almost half of Nestlé's profits were generated by coffee. Meanwhile, Nestlé's freeze-drying process had been improved by developments in technology. In the 1960s, Nescafe introduced instant coffee granules, which retained even more of the original coffee flavour, under the name Nescafe Gold Blend. The same product was launched in the US for the first time in 1967 under the name Taster's Choice. Later Gold Blend scored an immense marketing success in the UK during the 1980s with the introduction of a series of soap-opera storyline television commercials, starring actors Tony Head and Sharon Maugham as neighbours who begin a romantic affair after she asks to borrow some instant coffee for a dinner party. Reportedly UK sales rose by more than 20% as a result of the campaign, which was subsequently used to market the Taster's Choice brand in the US. Having failed repeatedly to establish Nescafe as a separate brand to Taster's Choice in the US, Nestlé finally rebranded its main American coffee as Nescafe Taster's Choice in 2003. In the early 2000s, the company began to retarget its marketing globally on the crucial 16-to-24 year-old market. In 2001, Nescafe launched a $30m global campaign designed to get teenagers and early 20s drinking instant coffee. It came hot on the heels of the equally global "Open Up" campaign of 2000, and a massive push to extend the Nescafe brand into soft drinks and coffee bars. As a result of the spread of the coffee bar concept, thanks to Starbucks and other operators, coffee drinking among teenagers is on the increase, and this has spilled over into the instant coffee market. Nestlé is determined to make Nescafe part of everyday lifestyle, less a consumer product than a lifestyle brand. In 2005, a US court awarded a struggling former actor and male model almost $16m in damages from Nestlé after he discovered that an old image from a photographic session in which he took part during the 1980s was being used without permission on the label and marketing for Taster's Choice in the US, and Nescafe in other markets.